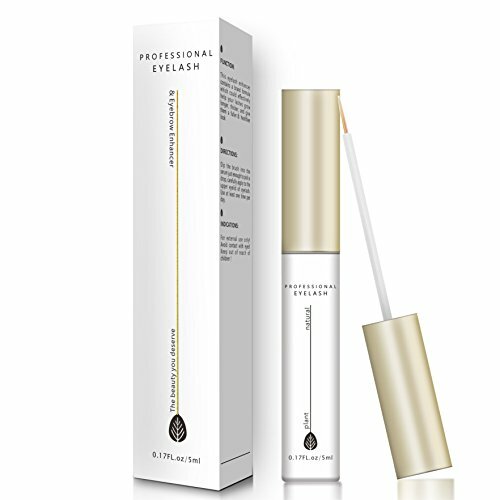 Numerous tests and researches have proved this eyelash growth serum could effectively tackle common eyelash problem, such as thinning and fragile eyelash, eyelash lose, lack of gloss, etc. This eyelash enhancer could active root cell of eyelashes, wake up the eyelashes, add nutrition for your lash, help lashes become thicker and shinny, extend the life of eyelashes and prevent eyelash break off, make lashes more dense slender, which can effectively solve short, yellow, fragile and other common problems. Brand new effective and non-irritating formula, especially designed for people who has fragile eyelashes due to long-term use of mascara and fake eyelashes. Eyelash is a special part of our body, it might not grow as fast as you imagine, but don’t worry, in order to achieve a better effect, please use this eyelash growth serum at least for 30 days, each time for day and night, then you will witness how changes happen. Ximalay eyelash growth serum comes with an eyeliner brush which is really easy to use. Step 1: Carefully apply to your upper and lower eyelid. Step 2: Smear your eyelash with serum from root to tip. Step 3: Each time for day and night. 1. For External use only! Avoid contact with eyes! If direct contact happens, rinse with clear water immediately. 2. Consult with doctor for any medical questions including but not limited to if you are pregnant or nursing, or being treated for any eye related disorder.